These cookies use only three ingredients, are gluten-free, and couldn't be simpler or faster to put together! 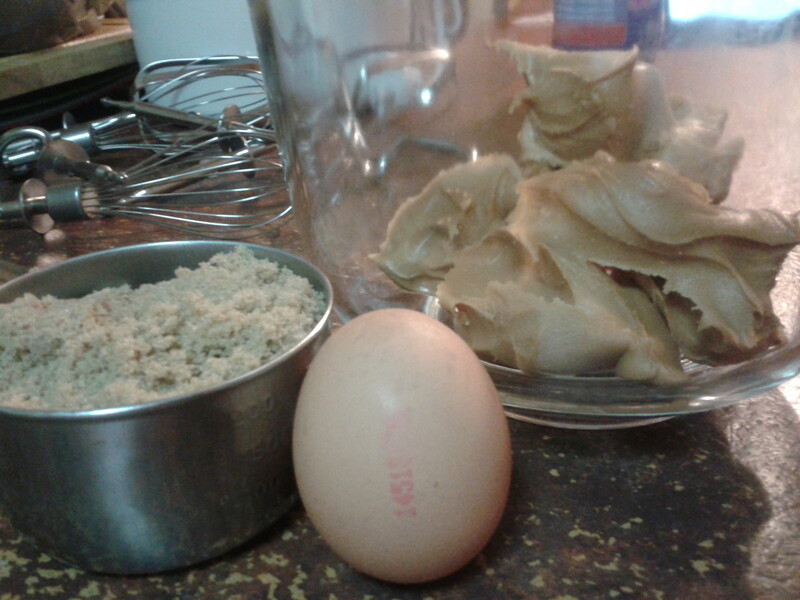 All you need is some peanut butter, an egg, and brown sugar to make them up. 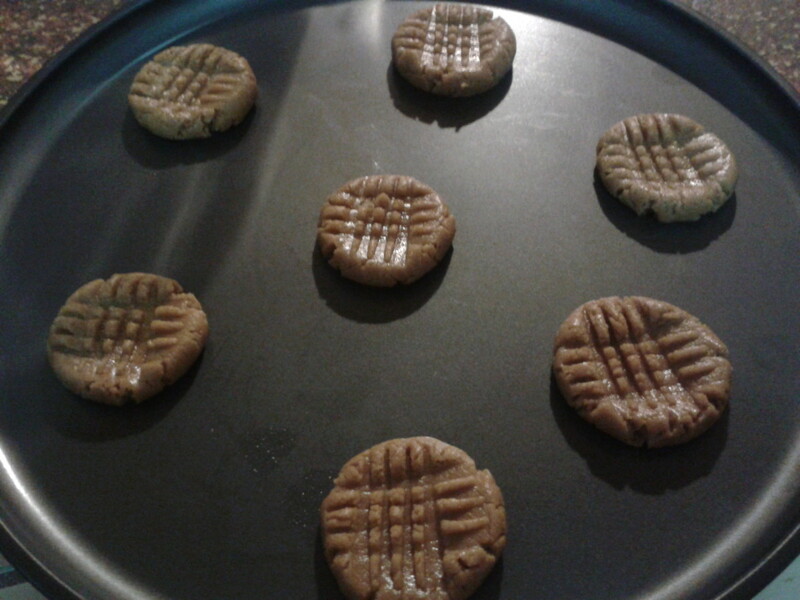 Ready to make delicious peanut butter cookies? Read on! Yields: About 20 medium-sized cookies. 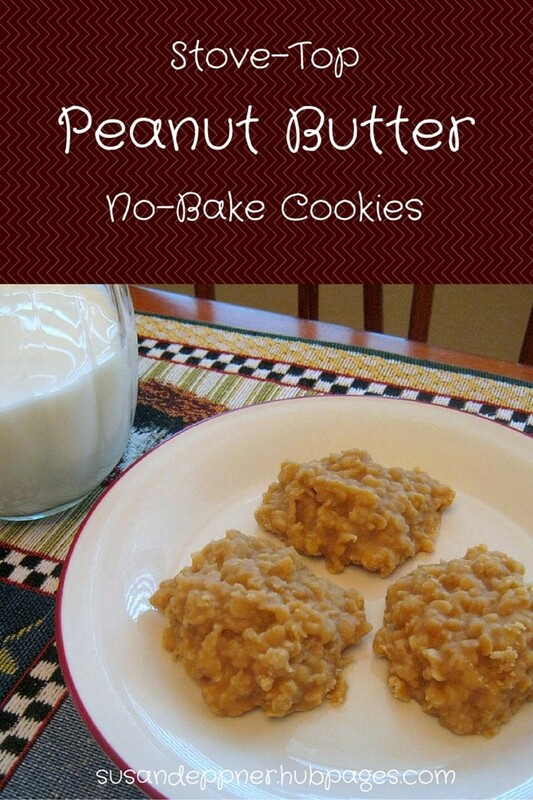 An egg, a cup of brown sugar and a cup of peanut butter is all you need to make these cookies. I used peanut butter with honey for an extra bit of deliciousness. Put all ingredients in a bowl at once. No need to be neat! 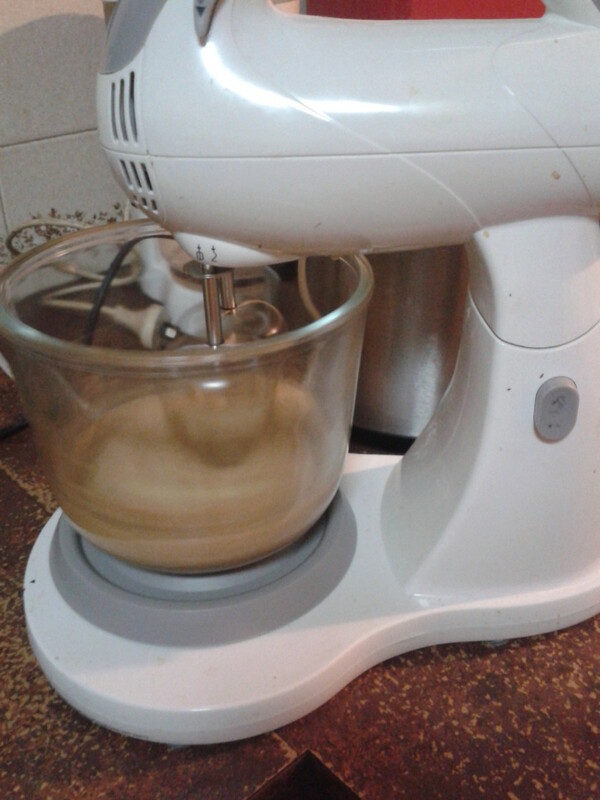 Mix - either by hand or with a stand mixer - until combined and smooth. 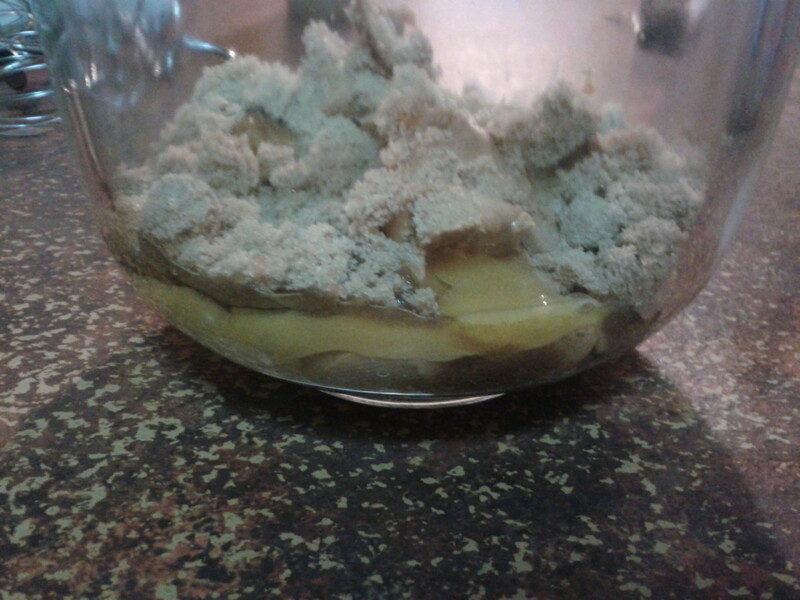 The mixture should be slightly crumbly and firm enough to roll into balls. Place teaspoon-sized balls on two non-stick baking trays and press down in a criss-cross pattern with a fork. Bake for 8-10 minutes, or until cookies form a thin crust on top. Allow to cool and then remove carefully from tray. Cookies should be chewy with a crispy crust. Enjoy! Add all your ingredients to the bowl at once. No need to be delicate about it! There's no creaming butter and sugar or anything complicated with this recipe! 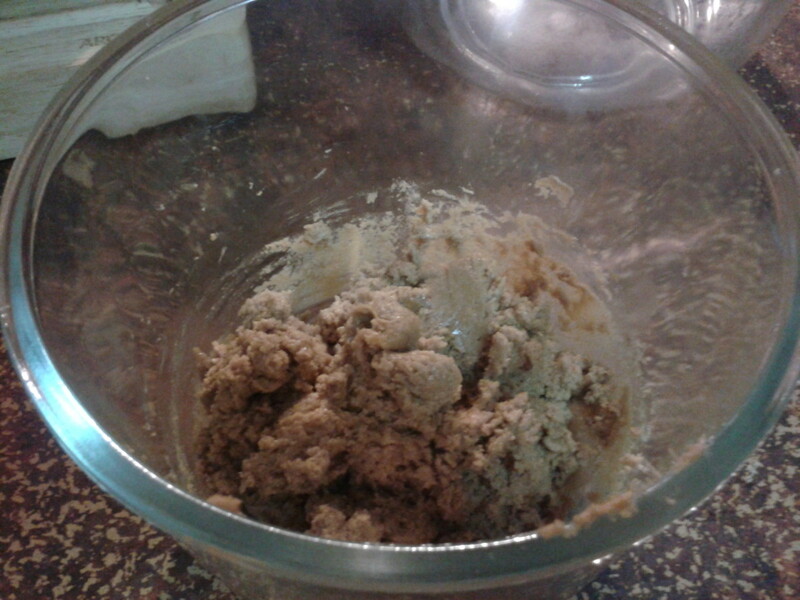 Mixing your peanut butter cookies in a stand mixer is faster, but you can do it by hand if you haven't got one. 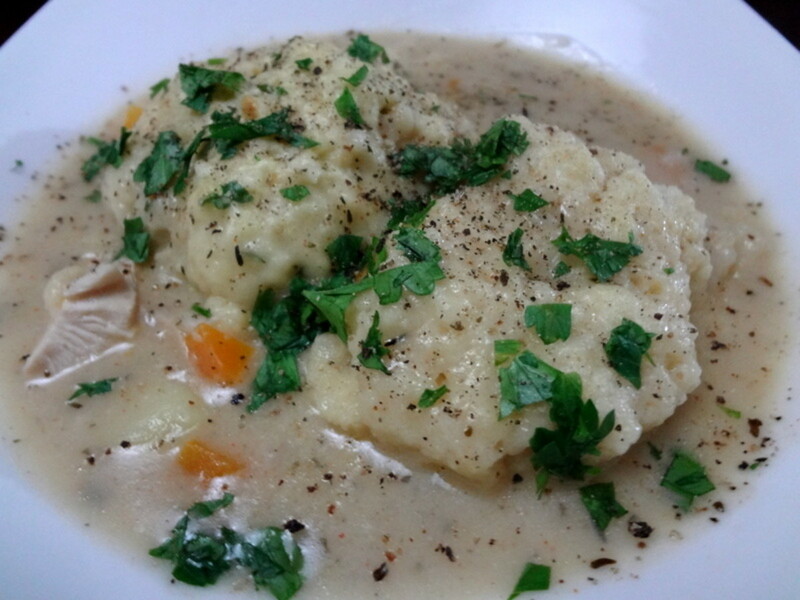 Your dough should be well-combined and slightly crumbly, easy to roll into balls. Press your cookies down with a fork to make a criss-cross pattern. This will help them bake evenly and quickly. 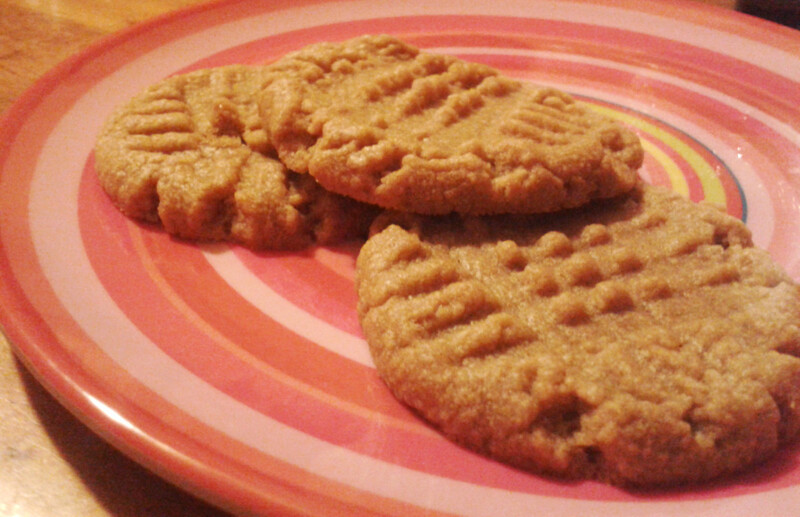 Peanut Butter Cookies are Good For You! Peanuts contain oleic acid, which helps lower bad cholesterol and increase good cholesterol levels in the blood. They contain magnesium, which aids in muscle and brain function, reduces inflammation and is all-round good for you! 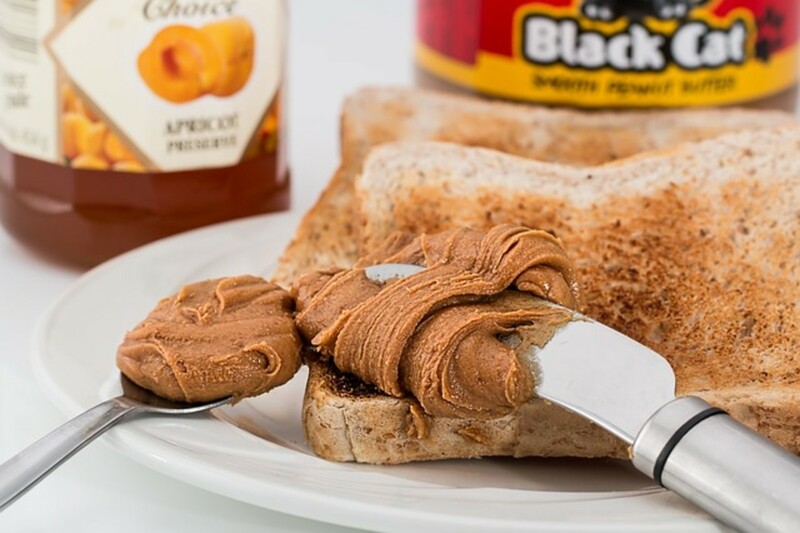 Peanuts are rich in protein, iron, B-vitamins and vitamin E.
Peanut butter made from roasted peanuts is richer in antioxidants than plain peanuts! 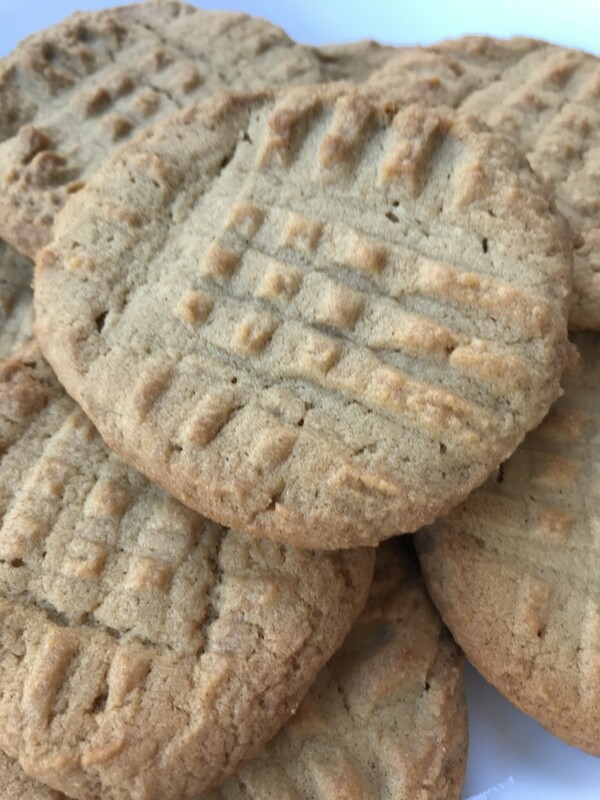 How Did Your Gluten-Free 3-Ingredient Peanut Butter Cookies Turn Out? Cookies are one of the things I miss--I will have to give these a try! just tried these; whipped up by hand. Better than the "regular" kind. Cookies are still chewy the next day even when left out. Kids and hubby loved them so no going back. 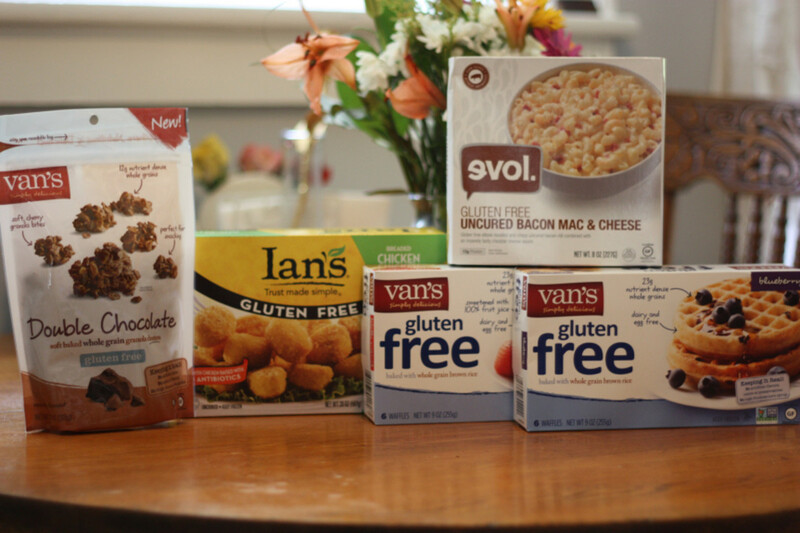 I'm always on the lookout for a good gluten-free dessert recipe! I might have to try these out! Excellent idea. Ill try this one, I hope it will turn great. Thanks for sharing this. No flour at all! 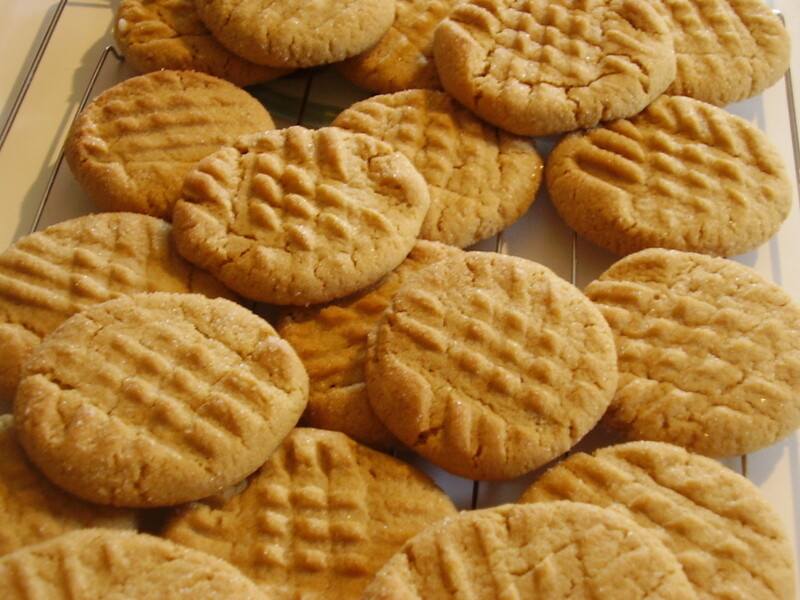 The peanut butter serves as flour and fat in these cookies. They turn out just like a regular chewy cookie once they're cooked and cooled. And they're delicious! so easy? No flour at all? Awesome recipe !! However, i need to purchase some peanut butter and brown sugar. Gluten free cookies are rarely found at HP. Thanks for sharing. Excellent Butter Cookies. Keep sharing. Voted up.